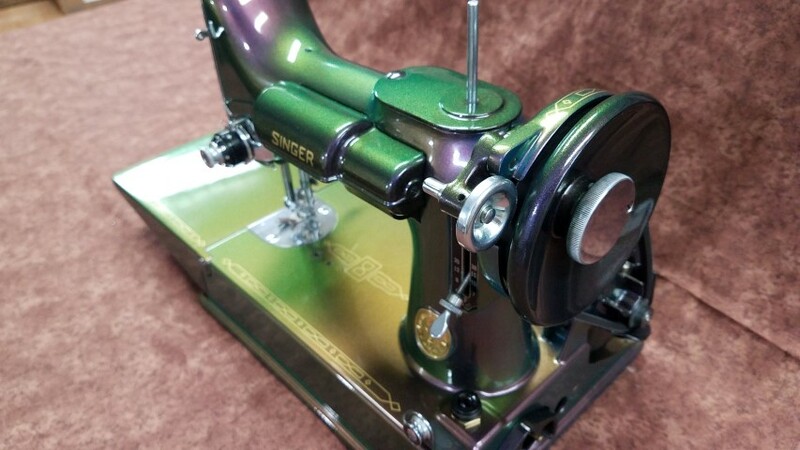 We refurbish and paint many models of vintage sewing machines, including the coveted Singer 221 Featherweight. 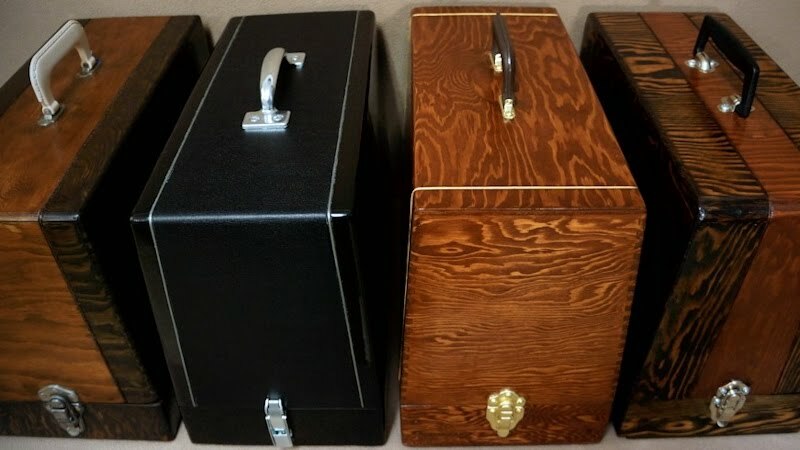 We also refinish vintage cases beautifully. There is a lot of information here. It is all important to your project. You can read a summary by clicking here. 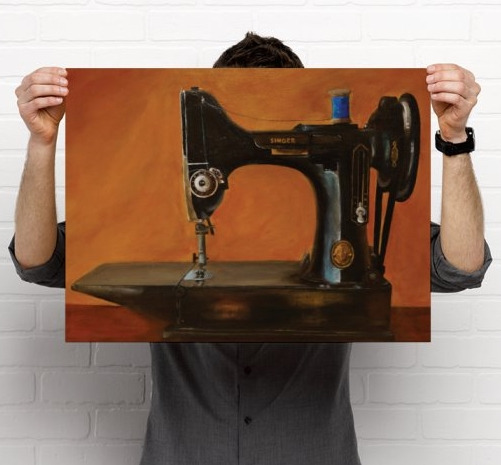 When we receive a machine, we first determine if it sews. Repairs are not part of the painting process. 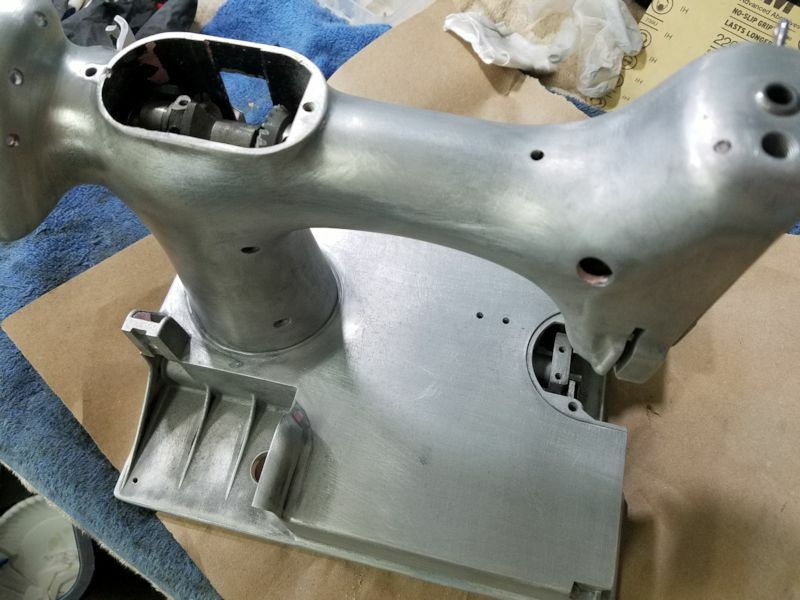 However, if the repair is something minor that we can easily correct throughout our disassembly and reassembly of your machine during the paint process, we will try our best to avoid repair charges as a courtesy. If we determine that mechanical repairs are necessary, you will be informed. Customer pays all shipping, each way, and we encourage appropriate insurance for the replacement value of your machine. You can estimate your shipping to our zip code: 21742. Bare aluminum (and steel) are properly treated and prepared for paint. Chromacoats are color shifting hues. This is called "Voodoo." Featherweights: $795. Includes a deep clean, a 100+ part breakdown including opening, cleaning, and inspecting the motor, hook disassembly for deep clean, meticulously polished chrome, proper paint preparation, color application, new decals, and catalyst-hardened gloss coating. 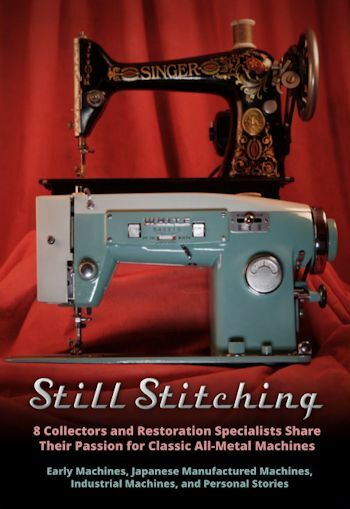 Completed machines are tested thoroughly for a proper stitch and video is taken prior to shipping. 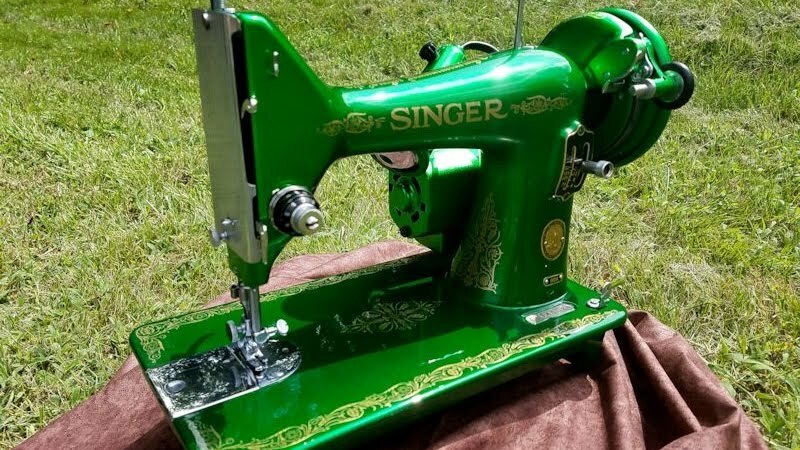 Other Models: We refinish many other classic models and these are typically less than the price of a Featherweight or 301. 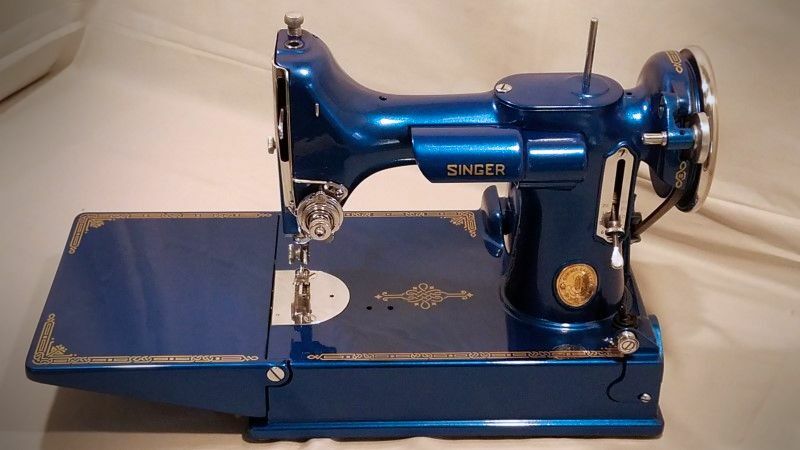 The Singer 15, 66, 99, and 201, for example, start at $645. Full service as described above under “Featherweights,” although there may be fewer parts to disassemble on different models. Significant disassembly to allow for deep cleaning and proper paint preparation. Parts cleaned safely in appropriate solvents. Hook disassembly for thorough cleaning. Minor corrosion repair (severe corrosion may require additional fee). Proper paint preparation and finish. Reassemble / time hook / test for perfect stitches. Video demonstration prior to final payment and shipping. Pedals: We do not recommend painting pedals, but we will do so at your request for $20. Pedals rest on the floor, may be kicked a bit near table legs, and suffer constant rubbing during use - painting it just seems odd to us. 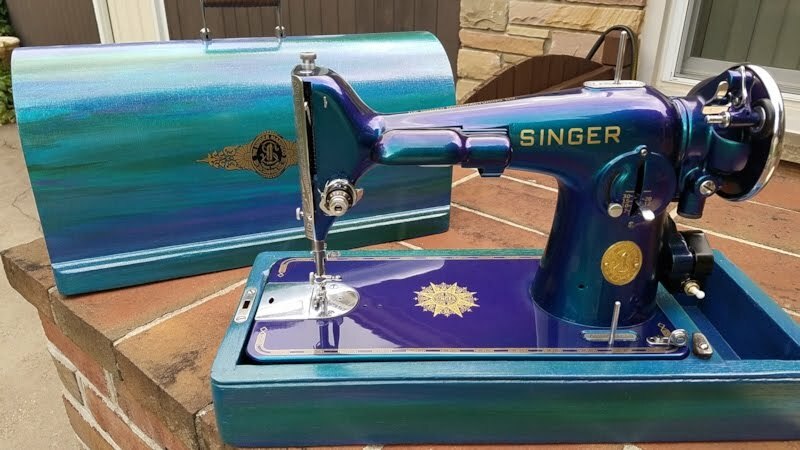 More importantly, if you intend to use the metal bracket inside of many Featherweight cases to hold your pedal, there is simply no way that pinching metal against a painted pedal while sliding it will be conducive to a long-lasting finish. If you wish to have your pedal painted, we leave the “button” the original black and the rest of the pedal is painted. Drip Pan: Our cosmetic preference is a black drip pan. This is an underside panel of your machine. If your drip pan doesn't polish nicely, we paint it black freely as part of your project. If you wish to have the drip pan painted the color of your machine, you must inform us and there is a $5 charge. Wiring: If your machine's electrical components have broken or bare wiring, we repair this for a nominal fee, usually no more than $15. Mechanical repairs are addressed more fully below. 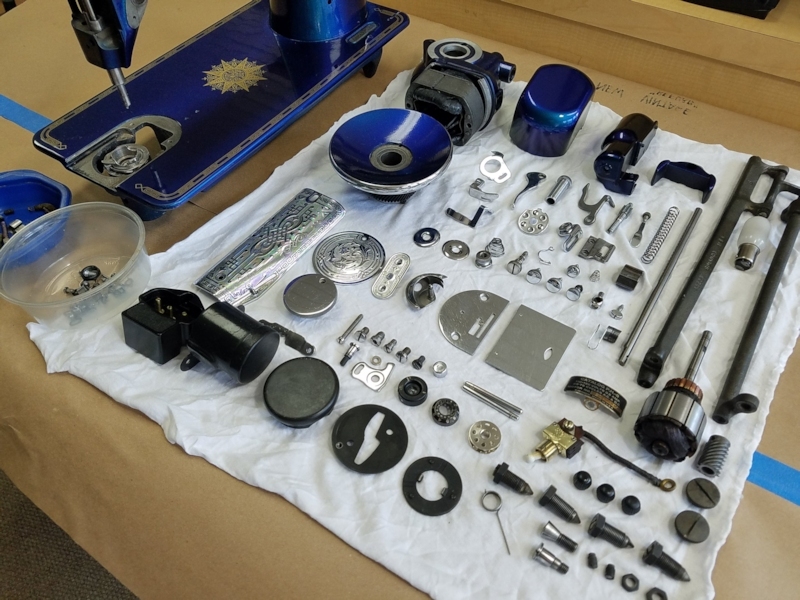 Additional Parts: We video opening your package and we do a cursory inspection for necessary parts to recommend; for example, some machines have broken bakelite thumb nuts or cracked power terminals, some are missing drip pans, etc. If you choose to replace any parts, we can usually acquire them based on availability and add them to your invoice. Parts purchases may require prepayment at our discretion. Cases: These start at $175. Price varies depending on model, color, and design options. We must know if your case is disassembled, as we don't typically accept cases which require full reassembly of all box joints. 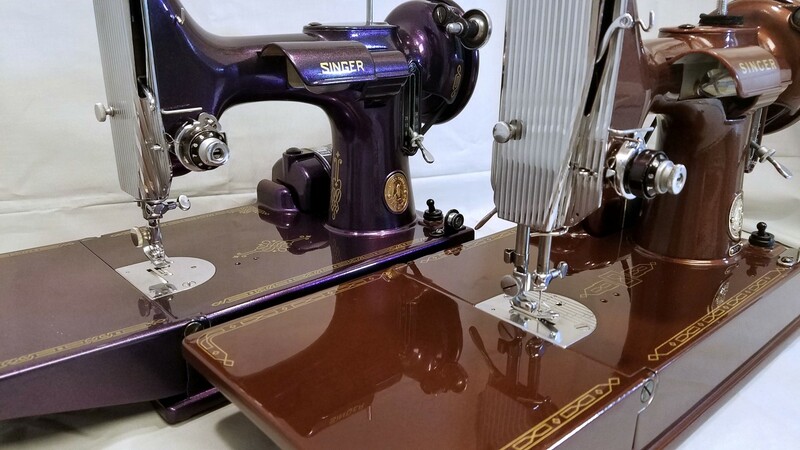 Above, the purple machine has the Celtic Chain decal, while the brown machine has the Prism decal. You may have seen painted machines elsewhere with decals poorly positioned. Rest assured we take great care with decal position. We don't consider this to be open to interpretation - there are correct positions, plain and simple. The pricing provided above allows for up to $30 in decals, and the available decals can be reviewed prior to selection. We'll work with you on that. Some decals are rather expensive, like the colored Tiffany set, which is about $80, thus require an additional $50 after our $30 allowance. Custom decals are possible. We work with a firm in the UK to have these created at a very high quality. 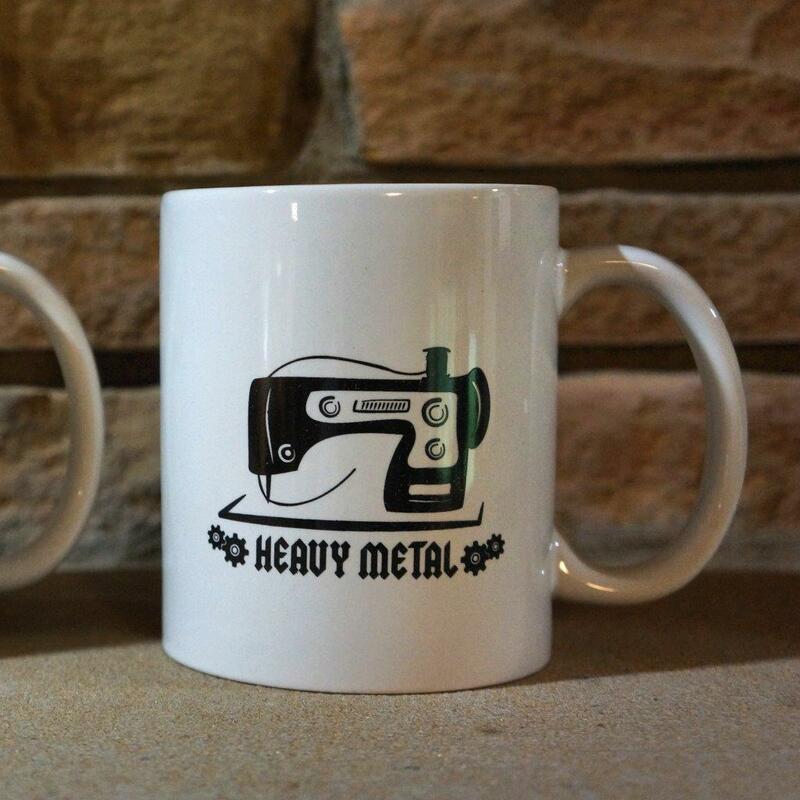 These start at about $80 due to the design and printing process. Please be cautious about printing your own decals or providing water-slide decals that are not offered by a reputable, proven business. Not all decals are created equal. And please don't request stickers to be added to your machine beneath the gloss coat: water transfers only, please. 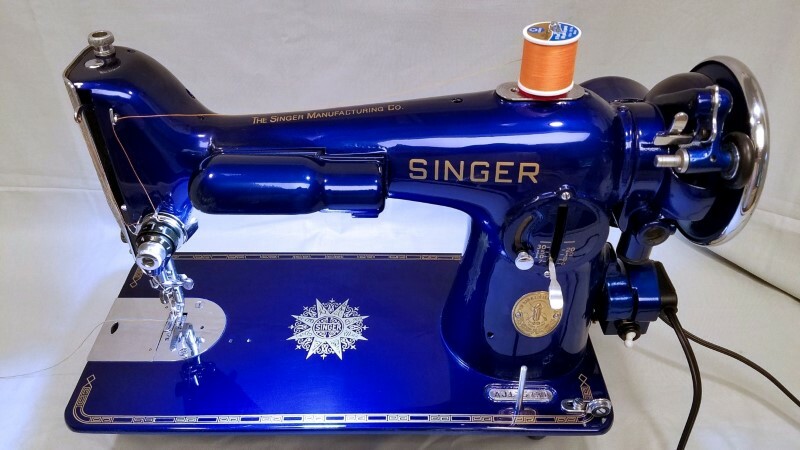 This Royal Blue Candy 201 has the India Star decal on the bed. 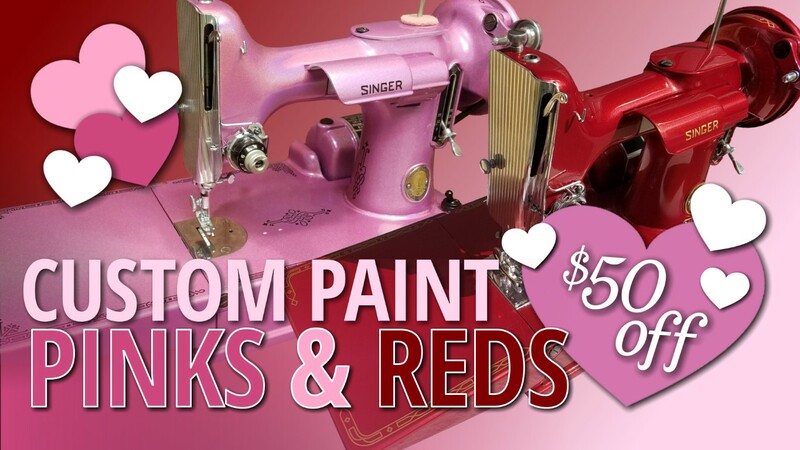 In-depth mechanical repairs are not included with the price of a paint project. 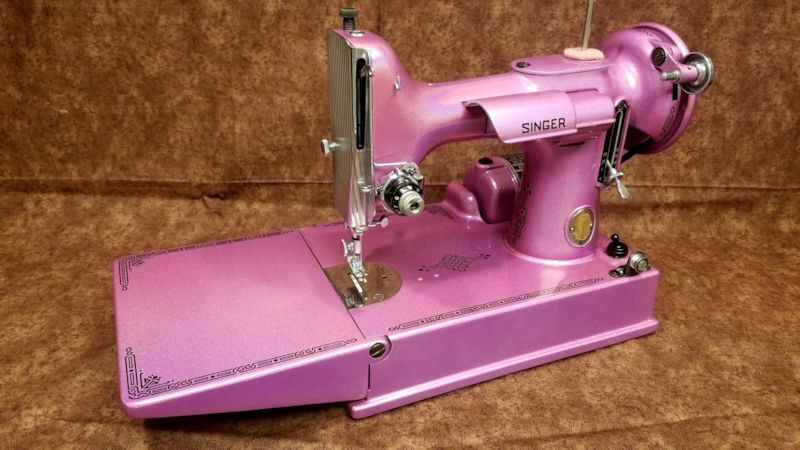 Your sewing machine must sew upon arrival to avoid additional labor costs. If a mechanical issue is rectified by virtue of our disassembly and reassembly process, with no significant impact to our labor time, there will be no charge and we're very happy to apply the courtesy. An example would be a missing hook assembly. You could provide the hook or rely on us to purchase one. If the machine is in sound condition and we simply replace the hook assembly in order to resume functionality, of course we're not going to charge you for that. We do NOT endeavor to squeeze every dollar out of a project; however, time-consuming repairs (and parts) must be addressed in pricing. If your machine has known issues, we like to discuss this openly early in your project and absolutely avoid unpleasant surprises for you. Parts are solvent cleaned and machine polished. The final product is immaculate. While we do have to insist on the deposit as a commitment from the client, the balance can be extended. 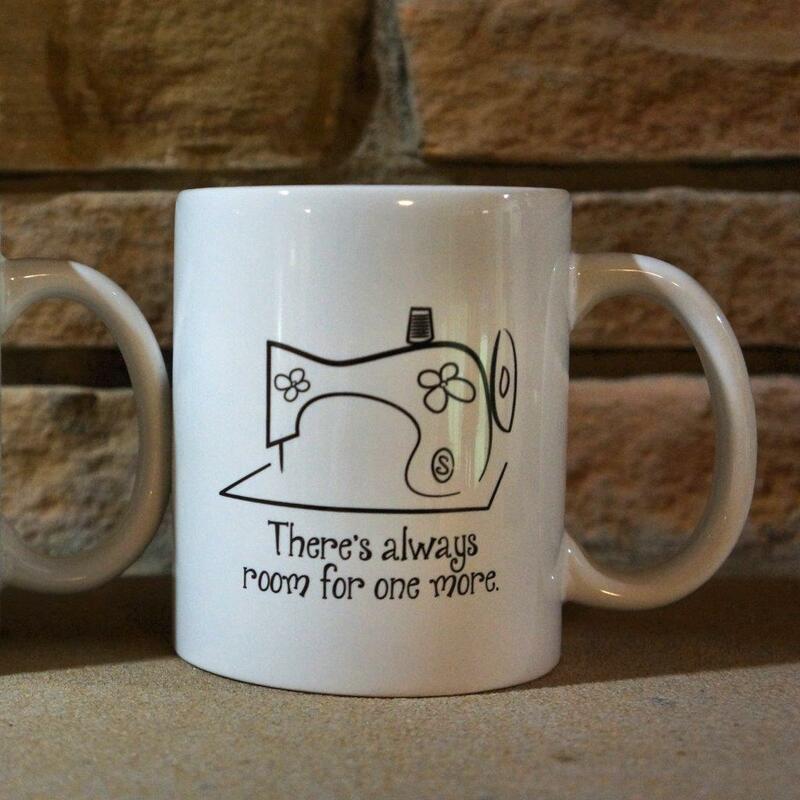 We don’t mind holding onto your finished machine as long as you need us to do so - some clients pay in small installments until their invoice is paid in full. A 50% deposit is required to place your job in the queue. We allow a 48-hour deposit return period, less $25 and any additional expenses incurred on our behalf. Beyond these two days, through seven days, deposit returns are less $200 and any expenses incurred on our behalf. Deposits are non-refundable after seven days. Any refunds may require 14-21 days. For remote clients and credit card users, we invoice through our LLC via Paypal which accepts most credit cards. This is not a "gift transfer." Checks are acceptable via postal mail but queue position is not secured, and no services will be rendered, until the check clears. (Our apologies, but a few bad apples have spoiled the bunch.) Likewise, with local pickup, a check must clear prior to pickup while cash and credit card remain immediate options. We don’t maintain a wait list - it’s just more administration than we’re interested in maintaining when we are already working under tremendous demand. We are “first-come-first-serve” based upon when your deposit is made. When inquiring about your project, we can provide an approximate turn-around schedule. Your deposit puts you "in line," and we'll advise you went to ship your machine. What to Ship: We require your complete machine with bobbin case and your pedal. If you are most comfortable packing your machine in its case, that is fine. Your belongings will be carefully tagged and tracked throughout our process. 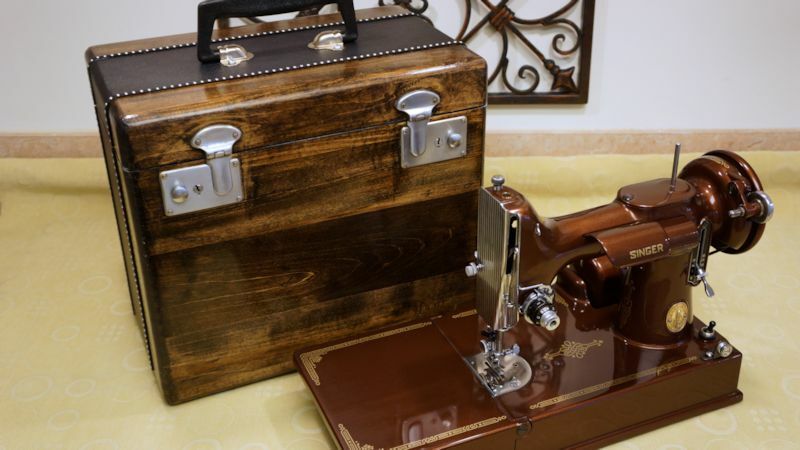 Your bobbin case will remain with your machine. 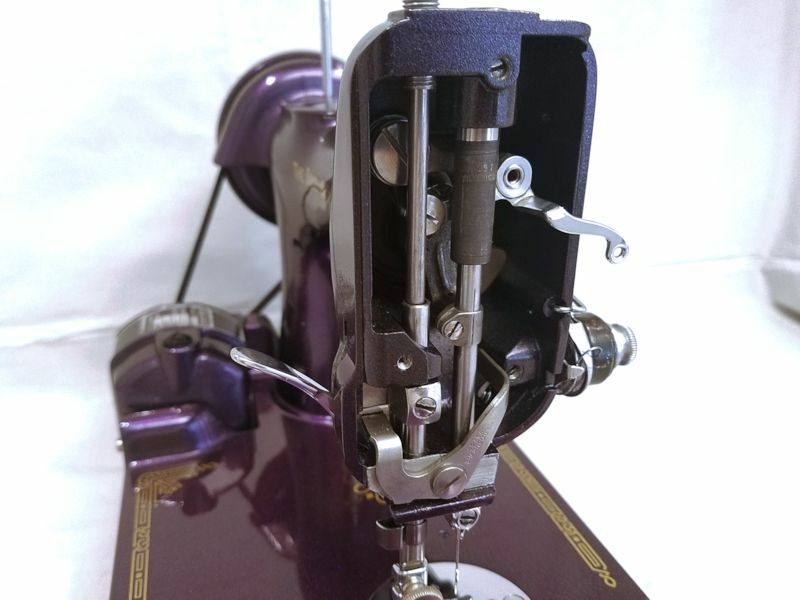 When we reassemble, time the hook, and perfect the stitches, we want this to be accomplished with your bobbin case and your pedal, just as you will be sewing with your machine. Prepare to Ship Properly for Your Protection: Photograph your machine from multiple angles prior to packaging. With the machine packed inside the box, take a photo before closing and taping the top to demonstrate your (hopefully) excellent packing. We video opening your machine, so if there is any damage from shipping, your insurance claim should be easily processed. We have had only one damaged machine over three years’ time (and not a Featherweight), and because we had excellent photos and proper insurance, the claim was paid immediately by the U.S. Postal Service. Insure Your Package: Please insure your package for a replacement value you consider appropriate and could readily demonstrate to your shipper if they were to challenge the value after a claim; if the shipper damages your machine, what would it cost you to replace it? Advertisements for Featherweights in your region could serve to "prove" its value if you were challenged on that question. Our return shipping requires insurance as well - the basic value of a Featherweight plus the value of your custom paint job. How We Invoice and Return Your Machine: To begin, we send you a business invoice through Paypal requiring your deposit via Paypal or credit card. 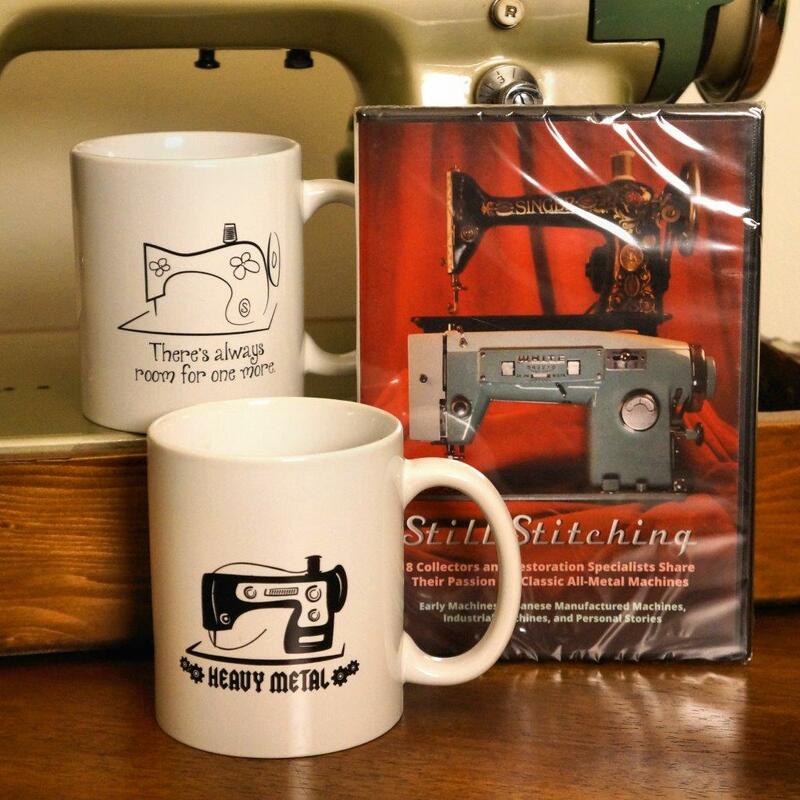 We do NOT request “gift transfers.” When your machine is complete, we video it sewing to show you, and we provide photographs. We calculate your return shipping, add any additional parts/service required as described above, and you pay your final invoice prior to return shipping. 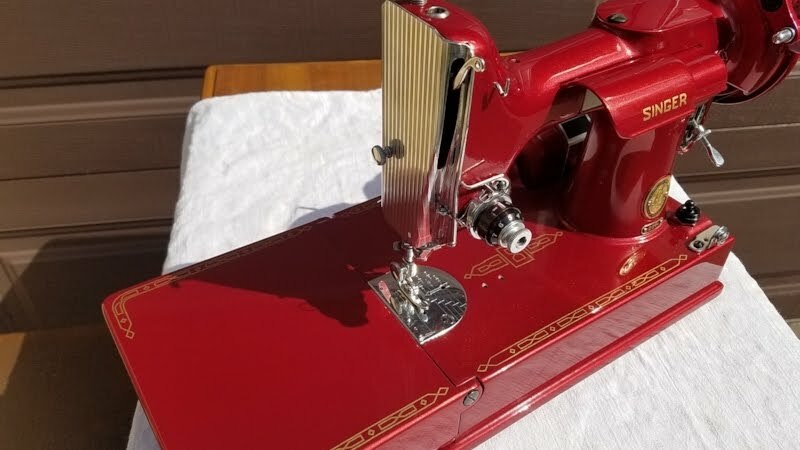 Caring for a Painted Sewing Machine: Your machine will be top-coated with a high-gloss, catalyst-hardened clear coat that provides protection, but you must understand that the final job is like the paint on a fine automobile: if you were to drop scissors on a Mercedes hood, you would be likely to get a blemish. You will no longer polish your machine with oil; you will use liquid wax like an automobile. 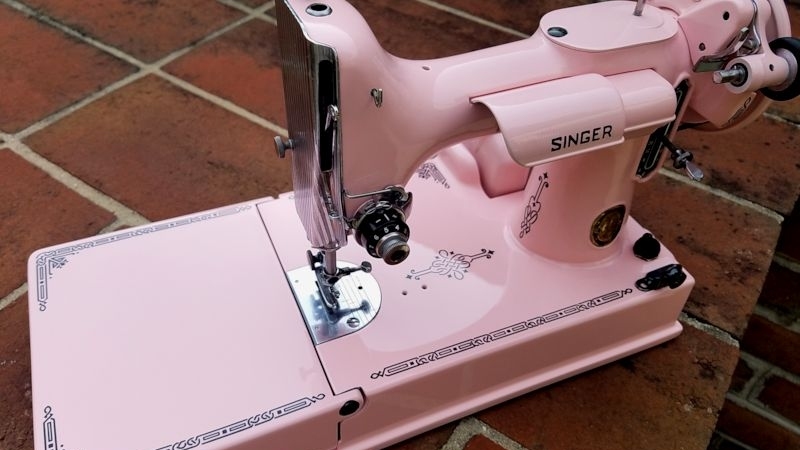 Avoid scuffing your machine with jewelry; never put stickers or adhesive on your machine. Screw-in seam guides will blemish the finish and possibly crack the finish around the screw holes: don't use them. Browse our colors and finishes below. Some finishes have links to videos so that you can see the effect of light on the finished object. Candy finishes have rich color. We can spray these over a metallic base to provide a shimmering metallic fleck effect. Pearls have great color depth and shimmering iridescence with pearl luster. Chromacoats change color depending on the angle from which they are viewed. More than just a subtle variation in shade, the color undergoes striking transformation. Colors are indicated below. Sparkling Pearls offer a vivid shimmering effect in strong light, with a pearly finish. Spectracoat creates iridescent color enhancements that appear to move right before your eyes. It looks like “liquid silver” in low light, then provide and a more flowing liquid silver rainbow in bright light. Don’t confuse Spectracoat with Chromacoat – while Chromacoat finishes dramatically change color, Spectracoat finishes offer more of a “dancing light” effect. Colors are indicated below. Metallics are much like the finish on custom and fine automobiles. They provide a “metallic fleck” effect that gives the finish depth and shimmer. Note: Metallic Turquoise has been discontinued from our preferred paint line, but we can identify other turquoise colors if necessary. We can identify and locate additional colors. In some cases there may be a fee up to $50. Policies here are subject to change. A project is subject to the policies as posted at the time of deposit. Updated 4/10/2019.